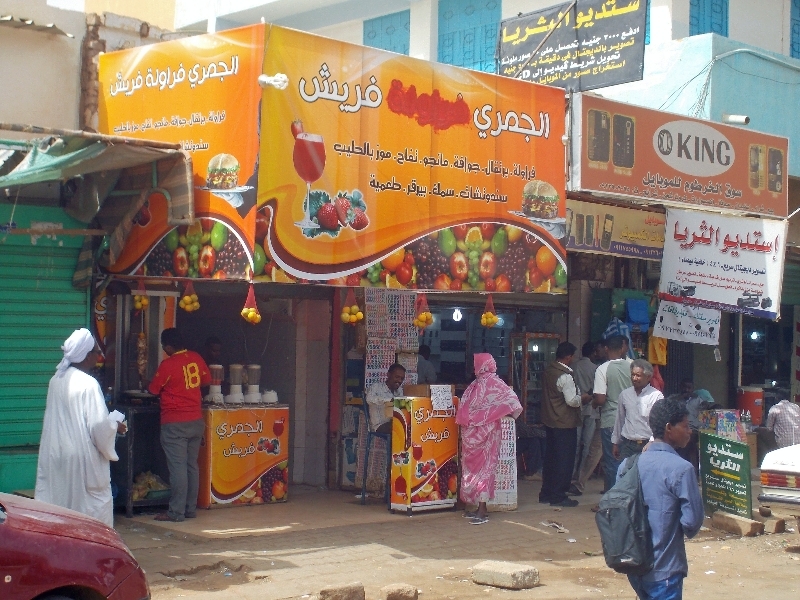 I like Khartoum. It is an easy city to walk downtown. 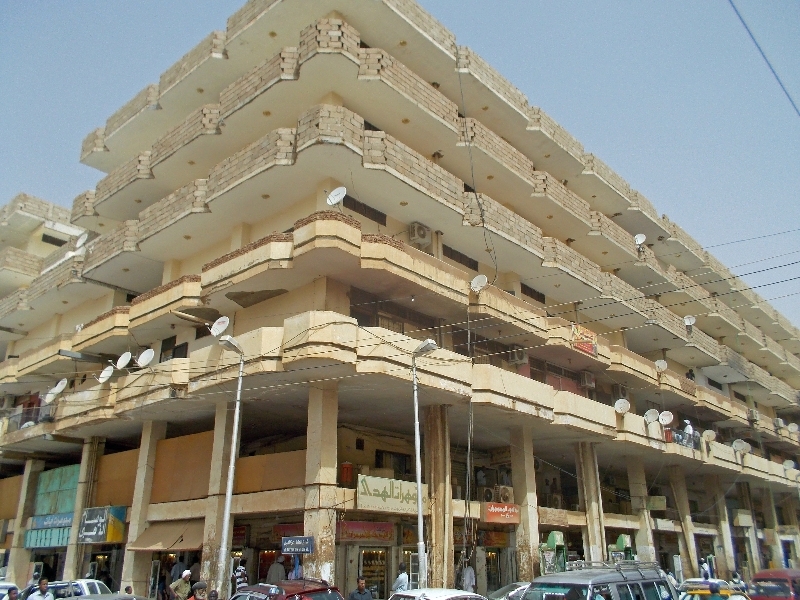 Both camp and hotel are in downtown business district at confluence of White Nile and Blue Nile, ideal locations. Today was a rest day, so both chance to get everything cleaned and prepared for next section – and a chance to explore. 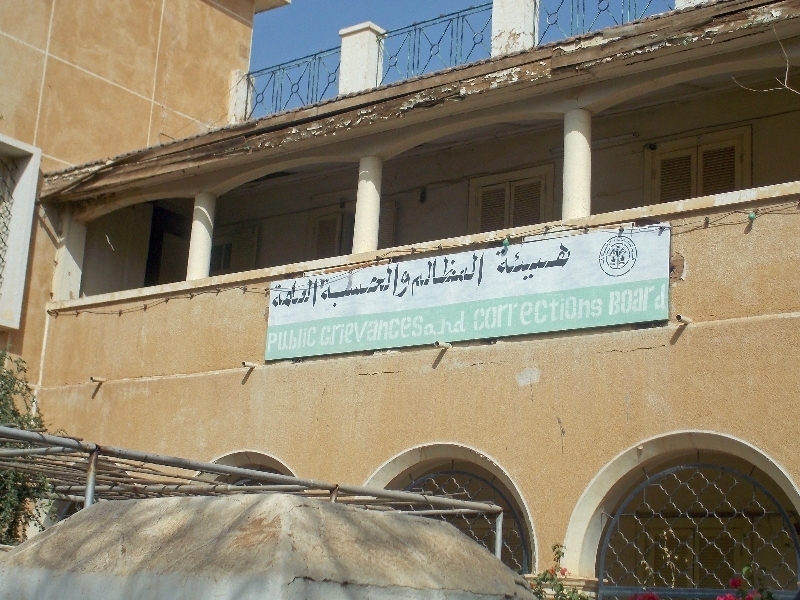 Sudan is an Islamic Republic. 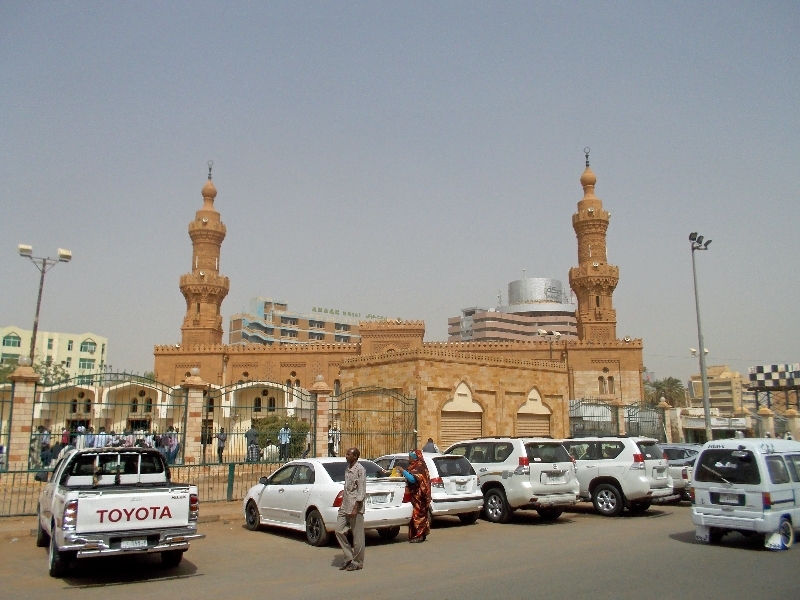 Photo below is of the Grand Mosque in middle of city. While walking during midday prayer time, also saw plenty of prayer mats spread out and people taking break in middle of bustle to pray. I also had one occasion where someone called attention to my knees (I’m wearing basic travel shorts). Not sure if they thought it was the crazy foreigner (there aren’t too many tourists) or perhaps the knees myself but I did notice that locals weren’t in shorts. 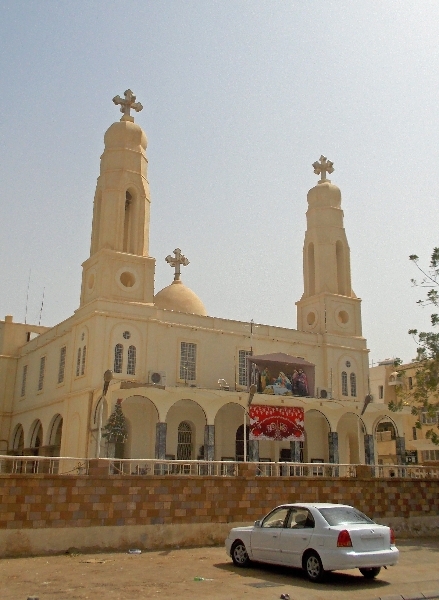 Yet despite being capital of an Islamic State, I still found the Coptic Church in photo below. In our part of town there are many ministries, e.g. Ministry of Interior, Ministry of Culture, Ministry of Justice, etc. I am generally careful in photographing such official buildings, but the complaint department was just a little too good to pass up. 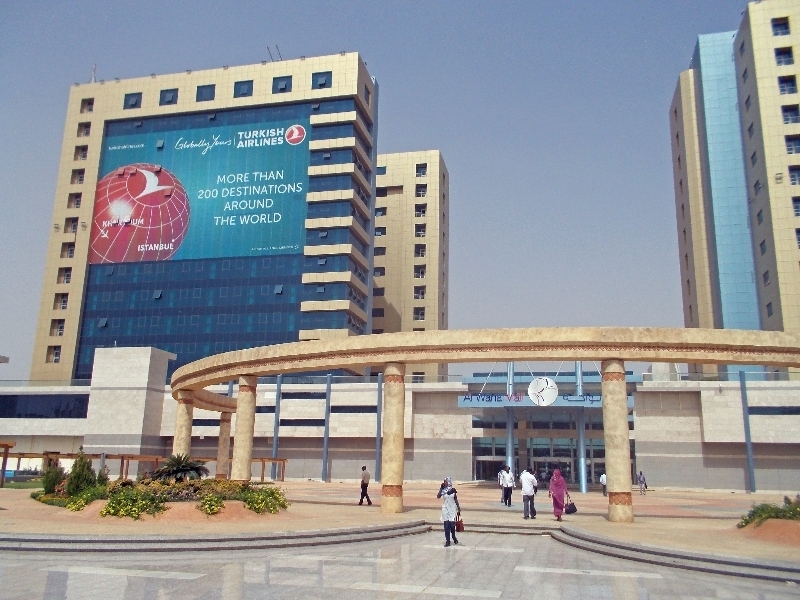 I found the very nice modern Al Waha Mall. It is rather fancy and new looking with shops selling high end goods. However, it is also somewhat empty. Fortunately, in basement was Sena Hypermarket, a surprisingly large grocery and excellent chance to pick up some foods for dinner. Above the shops are places some live and you can see the multitude of satellite dishes for catch latest media. 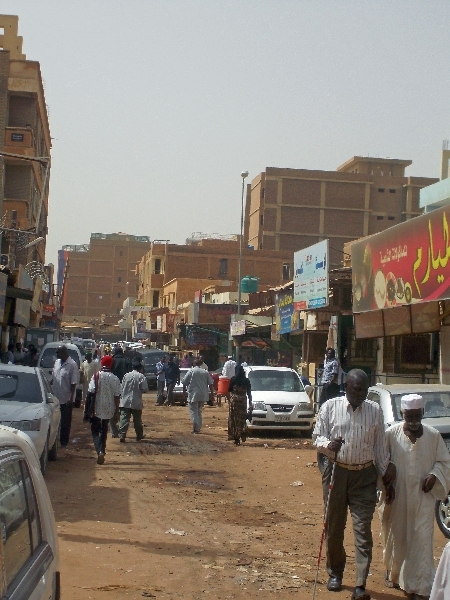 In addition I am struck by how many passenger cars try to crowd these streets and how varied this is from rest of Sudan we’ve traveled where we barely saw buildings over one story tall. In addition to being a tourist, I started the day off with a walk to the TDA camp. 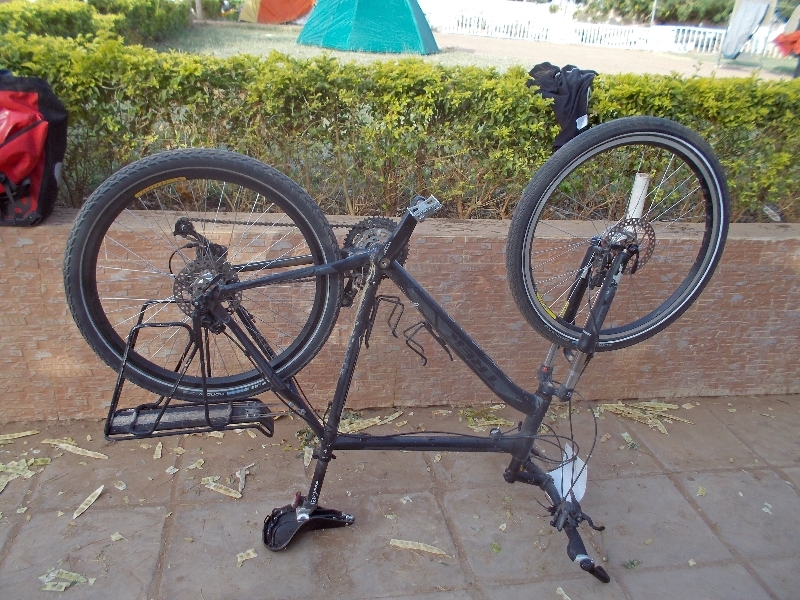 I tuned up my bicycle and shook out as much dirt as I could from my tent. Catalin also did a true on the wheel. TDA has broken this trip into eight “sections” and we just completed the first one. We’ve ridden ~1200 miles. The next section, to Addis Adaba is also fifteen riding days and the one after to Nairobi is sixteen riding days. However, while the previous section was rated a “2” in difficulty, both of the upcoming sections are rated “5”. I’ve found the riding so far to be fairly straightforward. We’ve been fortunate to have many more tailwinds than headwinds and that has made for not too difficult riding. What has added to the fun was more things like our sand storm and the insect plague and slightly warm temperatures. Will see how this compares with upcoming challenges including heat, off road cycling and some climbing – best to take it one day at a time. I haven’t yet seen the next section board, but last year the next eight days entailed: two long days of cycling on good pavement followed by three days of challenging off-road including some ugly roads, crossing into Ethiopia and then three days on pavement but with a lot more climbing. We’re going into remote corners again, so expect fewer updates. Its so interesting I am really trying to follow it every day !